We're inching closer and closer to the release of Sia's seventh studio record, This Is Acting. The record is due out next week, 1/29, and we've heard what has to be close to half the record ahead of time now. Sia drops a new single every 2-3 weeks like clockwork. Sia dropped the latest single off the record, "Unstoppable" today, and between it and the rest of the tracks we've heard so far, it's becoming more and more difficult to get excited for this record. 1000 Forms Of Fear was one of the zeitgeist pop records of 2014. Sia made a huge splash into the mainstream with her own music after years and years of writing tunes for massive pop stars and churning out her own music (which wasn't getting much attention from the mainstream press). But the music videos for "Chandelier," "Big Girls Cry," and "Elastic Heart" turned her into a megastar. 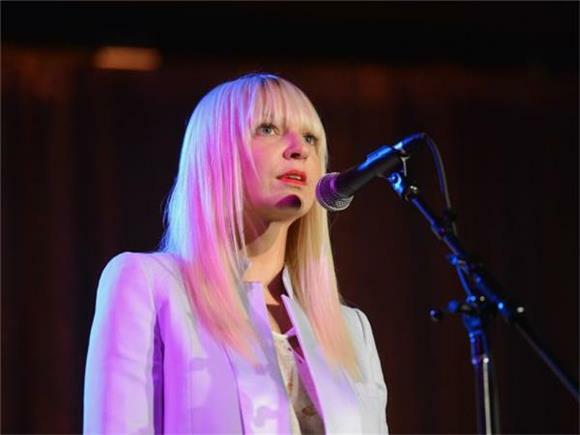 Despite having worked in music since the 90s, "Chandelier" was Sia's first song to chart with her as the lead performer. And 1000 Forms of Fear worked because Sia paired her electropop background with an intensely personal tale of her struggles with addiction and mental health issues. Where is that Sia today? This Is Acting consists almost entirely of tracks written for other performers. We heard a rejected track for Rihanna. We heard a track she co-wrote with Kanye West. We heard a song that was written for Adele. And none of these tracks have a personal touch. If what people were relating to in Sia was the vulnerability and tenderness that she brough to contemporary pop, shoveling out big pop tracks that you wrote for other folks as commercial content isn't the way to convince people that you're anything other than a flash in the pan. "Unstoppable" is almost totally indistinguishable from any electropop track you could hear on the radio. There's almost no difference between it and any track Ellie Goulding released last year. "Cheap Thrills" is generic Caribbean pop (sung by a white girl which makes it...problematic). And although I'd love to hear a version of "Alive" sung by Adele as it was originally intended, Sia is no Adele. Unless the rest of This Is Acting contains tracks that showcase more of Sia's personality and less of what she was putting together for other artists, don't be surprised if this record marks the end of the momentum she's been building since 2014.